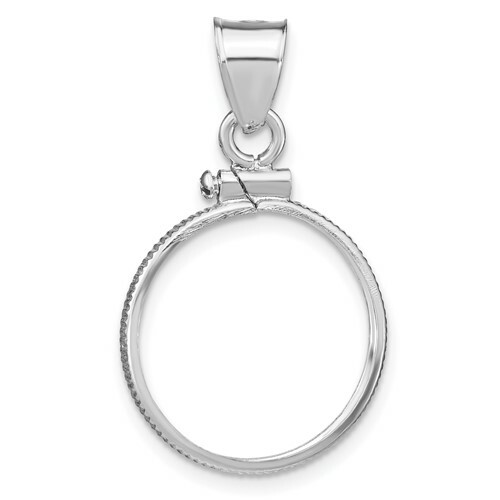 Sterling silver plain coin bezel pendant fits a 10 cent coin. 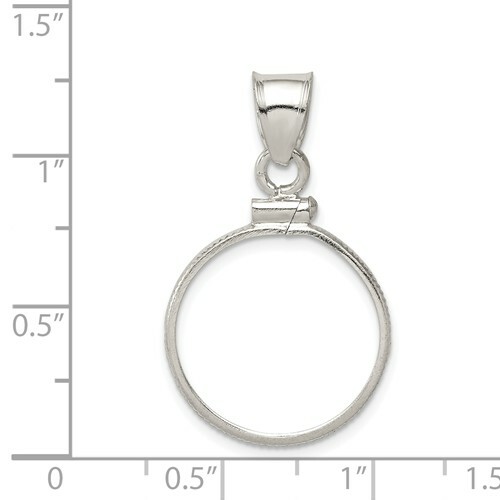 Dimensions: 18mm x 1.2mm. A small screw at the top opens and closes the bezel. Made in USA. it was loved by the receiver.